A 15-year-old boy has been arrested on suspicion of attempted murder after another boy was stabbed in Sheffield. The victim, also aged 15, is being treated in hospital for serious injuries after he was attacked near Raeburn Road. 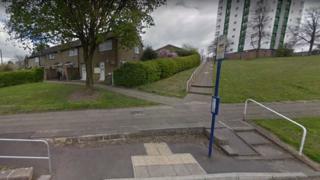 South Yorkshire Police was called to the Gleadless Valley area at 22:40 GMT on Monday. A cordon is in place as officers investigate, while the arrested boy remains in custody.